Such a pretty place. May I say the barista in the pic is a star? 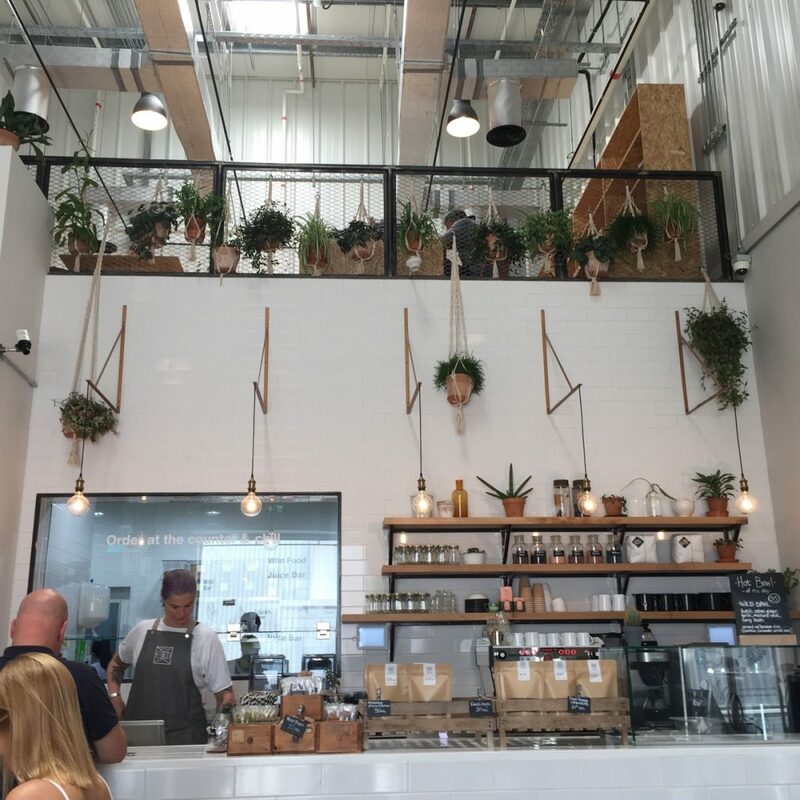 Beautiful plants and natural wood grace the cafe. They really do have a fascinating number of things in their menu that pique curiosity for people like me who are noobs to veganism. Wild & The Moon Dubai carries plant-based, organic, fresh and raw products. Let me just say first of all, that my chances of turning vegan in this life is zero. There, I said it. Zero. For me, a life without meat and cheese is just way too hard to fathom. Anyway, it felt good to be “cruelty free” for once. The thing with the Wild & The Moon is that they have prepackaged juices that you pick from their refrigerator. If there’s something you tried once, there’s a chance you will not get to try it again. Not a great way to go about things, me thinks. I’d rather they make things fresh as you order them. Try the ‘Easy Green’, which is a combination of pineapple, cucumber, spinach, kale and lemon. Refreshing, cooling and soothing! They also host a variety of “elixirs” or vitality shots. Besides this, they also have vegan milk-based coffee and tea. I must say I really liked their turmeric milk latte with almond milk. Very nutty and creamy. However, I’m sure coffee and tea purists would really be miffed at the selections at Wild & the Moon Dubai. This is one of the places that does detox programs, very much in the likes of Detox Delight. They actually happen to be more reasonable than the former. Now, about the food. Hmm. I was a bit concerned about what to pick from a couple of Asian and Middle Eastern salads and finally settled on a salad with rice noodle leeks, cucumbers, red peppers, maple carrots, bok choy, sesame oil and chard. It was actually quite tasty and fresh; however the quantity did not manage to fill me up. 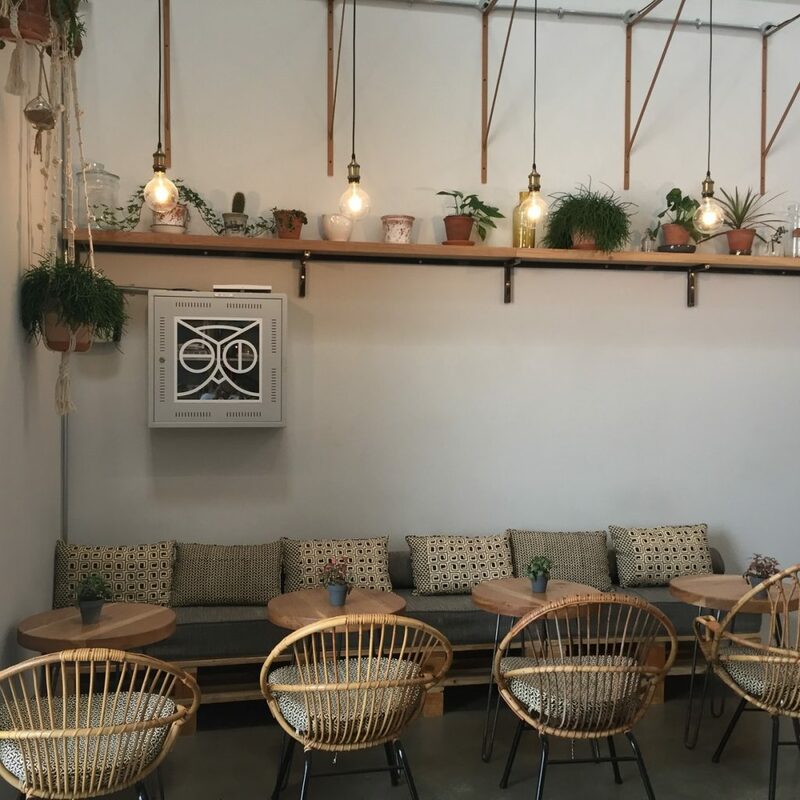 🙁 Lately, there’s a new space that’s opened up in Al Quoz called ‘Nadi Al Quoz’ which turns Warehouse 90 into a really cool co-working space. And guess who serves the food out there? Yup, The Wild & The Moon. Overall, definitely worth a visit.